The human body can process about 60 g of carbohydrates per hour, which is something that can be hard to get in (and keep in) when you’re running as fast as you can, with both your mental and physical selves busy just moving forward and not slowing down. Making the eating as easy and enjoyable as possible is therefore a good idea! One of these balls get you 14-15 g of carbohydrates (75 kcal total), and taste divine. Like, can-I-just-eat-this-for-candy-good. They’re also super easy to chew thanks to the soft consistency, and we find them light on our stomachs as well. Two per hour is no problem, which means on race day, you’re half way to your goal of 60 g already there. And of course, you don’t get ruined from having to buy ready-made bars and whatnot all the time. We’re super excited to share these with you, and really cannot wait to hear what you think after you’ve tried them yourselves on your next long run. Good luck! Place all ingredients in a food processor and blend until you have a more or less uniform paste. 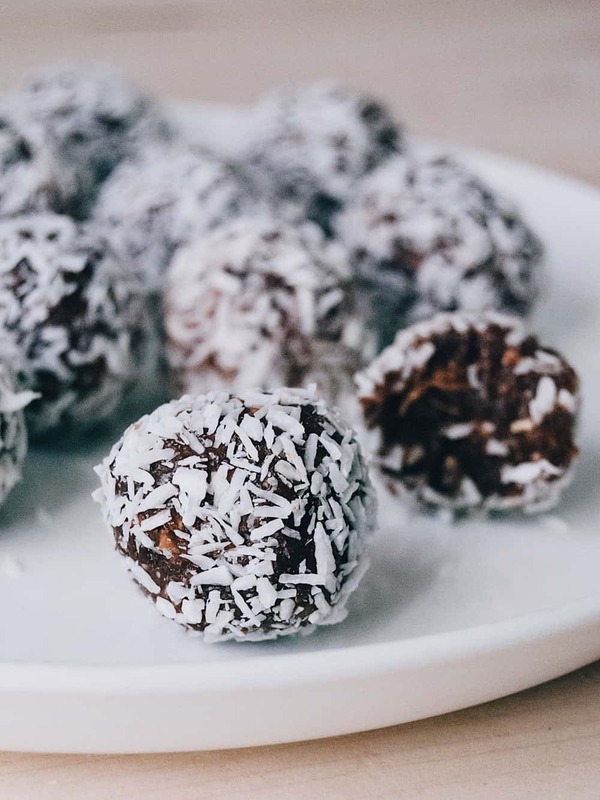 Shape into balls, and roll in coconut flakes (save any leftover coconut flakes in a jar for next time, instead of tossing them out!). Store in the fridge until show time.